As a full-service, licensed business, The Devine School was established with the goal to promote a safe and nurturing learning environment that stimulates your child’s growth. Our curriculum, activities, and room arrangements are all tailored to be age appropriate. Throughout the first year, your child will experience many changes in their life. Our goal is to work on your child’s social, emotional, physical, and cognitive development. We balance activities that will foster growth in these areas with ample down time to play affectionately and bond with your child. In the Infant Room, we believe in constant communication. 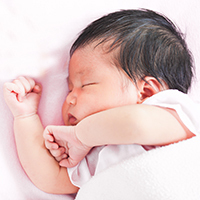 On a daily basis we ask that our parents update us on any changes in their infant’s routine. 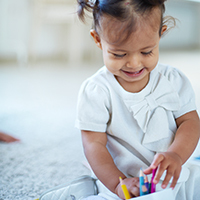 At the end of the day, a daily sheet is given by the Infant Room teachers that includes information on feeding, diapering, napping, and other important messages. We look forward to working together with parents to make their little ones the happiest, brightest baby they can be! 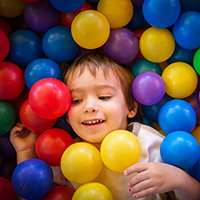 Throughout the year in the Pre-Toddler Room, your child will grow into an amazing Toddler. He/She will be exploring and learning in a variety of exciting areas. The children are separated into small, teacher led groups as they experience their daily planned activities. The Pre-Toddler Classroom uses the PA Learning Standards to create a curriculum that uses age appropriate, hands on, sensory activities. We make every experience a learning experience! In the Toddler Classroom, we are excited to have the opportunity to build a relationship with each child and family. We are dedicated to the growth and development of each child, and acknowledge that the early years lay the foundation for a child’s future. 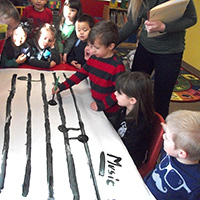 The Toddler Classroom uses the PA Learning Standards to create a curriculum that utilizes age appropriate activities. In the classroom, we are divided into small, teacher led groups. The Toddler Room is where the process of potty training is started. We will discuss in more details as your child develops and becomes more comfortable with using the potty. It is important for this process to be a joint and consistent effort between school and home. 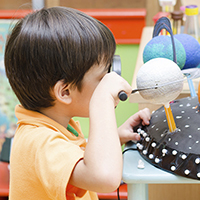 During your child’s time in the Preschool Classroom, they will be exposed to many different areas of learning. These areas include Creative Thinking & Expression, Math, Social Studies, Science, Language & Literacy, Writing and Social Emotional development. The Preschool teachers look forward to creating a partnership in caring and educating for your child while they attend our program. In this classroom, our aim is to make every learning experience fun and exciting. Weekly lesson plans are created from the PA Learning Standards and are a mixture of teacher initiated activities and child directed activities that are differentiated to meet the needs of every child. The Brookside Pre-K room is a Team Teaching classroom consisting of 3-5 year olds. The children rotate in 30 minute increments to structured centers that are based on differentiated levels and independent explorations. The classroom is comprised of five team teachers who each teach a specific curriculum area. These areas include; Writing, Literacy, Social/Emotional, Creative Arts, Science/Math. We use the PA Learning Standards to create a home grown curriculum that consists of the multi-leveled, developmental differentiation. Our full day Kindergarten program is licensed by the Department of Education and includes two Department of Education certified teachers that provide structured and differentiated academics. We use the PA Learning Standards as well as the Common Core Standards to create our curriculum that incorporates leveled teaching for each student. Our school year runs on East Penn School District’s Academic Calendar for in session days. Our teaching occurs in small groups as our child to teacher ratio does not exceed 9:1. We provide before and after care for children ages 6-12 (1st grade and up). East Penn School District provides transportation between our facility and Wescosville Elementary School. During before and after care, your child has a chance to interact with their peers in a variety of different activities. 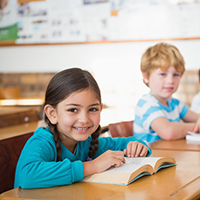 After school care also includes a homework time where your child has an opportunity to complete some or all of their homework with the assistance of one of our school age teachers. During the summer months, we provide a summer camp opportunity for our chool age hildren. 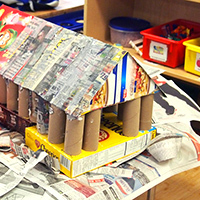 Each summer the children in the school age program decide on a theme that the summer program will be planned around. Some themes from the past have been Magic, Around the World in 80 Days and Survivor. In addition to daily activities planned for the school age children, we also participate in field days, field trips and a community service project every year. 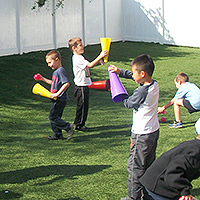 Our Enrichment Programs offer extra-curricular activities for Preschool, Pre-K, and Kindergarten students during the academic school year. As part of tuition, students enjoy weekly lessons in Art, Music & Physical Fitness. Our Enrichment programs are designed to expand upon classroom lessons and provide greater opportunities for creative learning. Art is an important component in a child’s development as it serves as a great tool for children to express their own feelings and ideas. designed to develop children’s self-expression, emotional skills, communication skills and creativity while having fun doing different art activities. 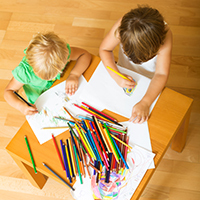 Children will develop a sense of pride and self confidence while having fun with the different art lesson. about the music from all parts of the world. Through repeated exposure to lyrics, melodies and rhythms, students are able to enhance their long-term memorization abilities. emphasize the importance of good health and wellness habits. take care of their bodies for a lifetime of good health.